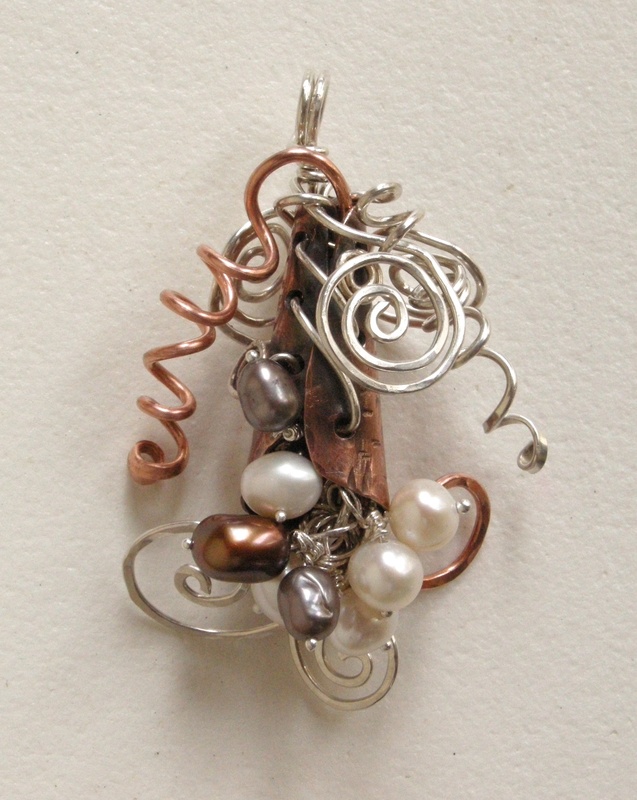 This mixed metal piece was made following a video class from Beaducation.com, a wonderful site with lots of video classes. They are having a sale this week too, so I purchased the class before 7:00 am this morning, and here is the finished pendant. The cone has been oxidized and I made the balled head pins after following another video class which I took a year ago. I also have some small leaves which are also very cool and will attach those when I make a necklace chain.